Despite the different name, this prototype is exactly the same Mouse Trap. The code between the two is absolutely identical. 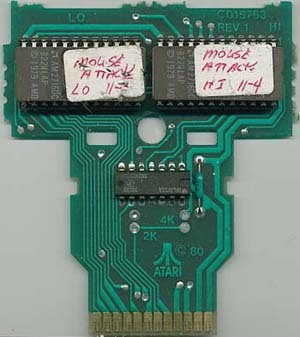 Why this prototype is labeled Mouse Attack is a bit of a mystery, but it's most likely because the employee didn't know the proper name. Still more confusing is why this prototype exists at all. 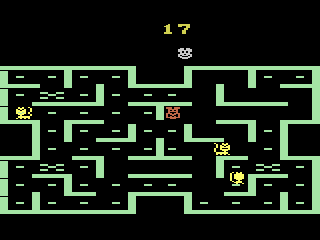 Why would Atari make a prototype of a game that they were only licensing from Coleco? It may be that Atari was planning on adding a copyright screen of some sort but never got around to it.